Europe's economy showed signs of resilience in December as activity in Germany stabilized, suggesting a return to growth later this year might be in the cards. The Markit purchasing managers' index for the 17-member eurozone hit a nine-month high in December -- although the reading of 47.2 reflected an 11th month of contraction and the improvement over November was unlikely to have prevented the recession deepening in the fourth quarter. "The PMI surveys provide some hope that the eurozone is showing signs of lifting out of its deep double-dip recession," said Chris Williamson, chief economist at Markit. "The surveys at least bring some substance to the belief that the worst is over and that a return to growth is in sight for the region in 2013." The eurozone fell back into recession for the second time in four years in the third quarter of 2012 as a sharp fall in activity in debt-ridden southern Europe weighed on output across the region. Government budget cuts and tax increases have contributed to the slowdown, making households more cautious about spending and businesses less confident about investing. Unemployment has risen to almost 12% across the eurozone. Recent economic reports and business surveys suggest the recession continued through the fourth quarter, and some policy makers -- including the European Central Bank -- have warned that growth may prove elusive again in 2013. German Chancellor Angela Merkel said this week that the eurozone crisis was far from over and warned of tougher conditions to come. But Europe's biggest economy may have weathered the worst of the storm, with December's German PMI data showing the country's services sector grew for the first time in five months and posted its strongest reading since April. 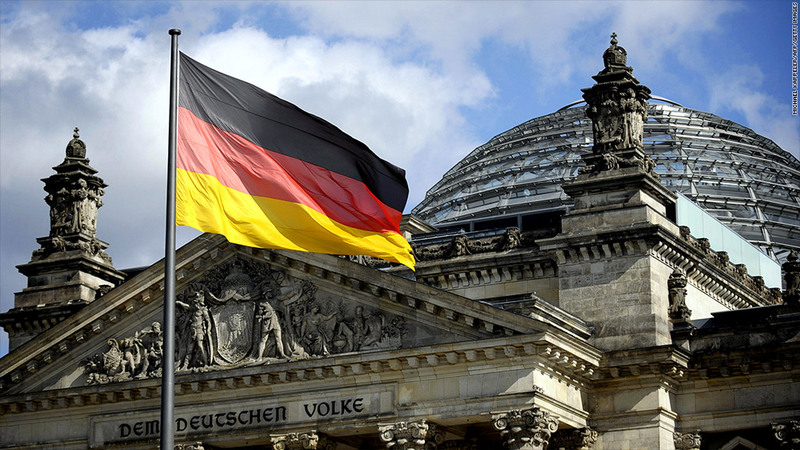 "A return to growth among Germany's service providers helped lift the private sector into expansion territory during December, despite another reduction in manufacturing output over the month," said Markit senior economist Tim Moore. By contrast, the activity in France's service industries declined for a fifth consecutive month. The overall PMI reading showed the decline in manufacturing and services extending for a 10th month, although the rate of decline was the slowest since August. December was also a bad month for the U.K.'s dominant service sector. The word's sixth-biggest economy emerged from recession in the third quarter, thanks to the boost generated by the London Olympics. But austerity measures have squeezed millions of households and many Britons are no better off than they were over a decade ago. "The first fall in service sector activity for two years raises the likelihood that the U.K. economy is sliding back into recession," Markit's Williamson said.